The United States won its first Olympic medal in a men’s luge singles event at the PyeongChang Winter Olympics. 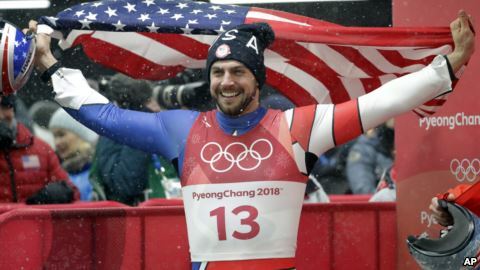 Chris Mazdzer won a silver medal last week – equaling the best finish ever for any member of the U.S. Olympic luge team. In the past, American Olympians won bronze and silver medals in women’s singles and men’s doubles luge. Over the years, German and Austrian teams have dominated the sport. When those teams lost, other European nations won. 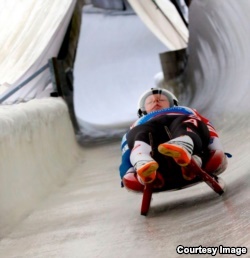 In the luge, competitors lie flat, feet first, on a small sled. They can travel around an icy track at speeds up to 140 kilometers an hour. The riders control the sled’s speed by changing the position of their feet or by moving their shoulders. So why did Team USA Luge win a medal at the PyeongChang Olympics? Most credit must go to Chris Mazdzer himself. The American said his win was a product of 16 years of preparation and intense training. His teammate and training partner Taylor Morris called him “an animal” whose years of hard work clearly paid off in the end. But another reason for Mazdzer’s success could have been the 3-D printer technology, which his team used to make its equipment. The term 3-D is short for three dimensional -- meaning an object with length, width and height. In 3-D printing, 3-D models are first created as files, or documents, on a computer. The printer then uses a substance like plastic or metal to create physical objects. The process involves making one layer of material at a time until the objects reach full form. The USA Luge team worked with an American company called Stratasys on the design and manufacturing process for the sleds. First, the company made a scan, or image, of the body of every member of the luge team. Then, 3-D printing technology was used to create tools for making molds in the shape of Olympians on top of a sled. The process of designing and tooling sled parts is highly complex and can take several weeks. 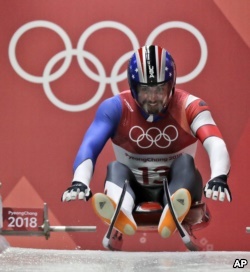 Officials from USA Luge say 3-D printing can greatly simplify the process, speeding up production of parts to within hours. Gordy Sheer is the marketing director for USA Luge. He says 3-D printing works well for making last-minute changes that require exactness. 'As we learn more about aerodynamics and optimizing our designs, it's nice to be able to have the ability to make those changes quickly,' Sheer said. The head of technical programs for USA Luge, Jon Owen, says the use of 3-D printing has made the team more competitive. It helps the team “continuously adjust designs and run them on the track much faster than traditional processes,” he said. He added that the technology also provides a way to perfectly fit each rider to the sled, while cutting production time and costs. Other sports represented at the 2018 Olympics have used 3-D printing to improve their equipment. Snowboard maker CAPiTA used 3-D printers to build stronger sidewalls for its snowboards. The process, called FUS3D, connects a plastic sidewall to the wooden center of the board. 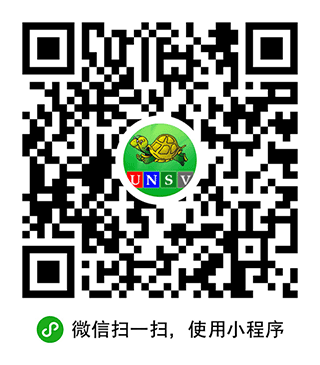 The technology even won a product of the year award from an international sports organization. 3-D printing company Materialise makes form-fitted insides for ski boots. It uses a scan of a person’s foot to produce perfectly fit boot inserts within a matter of minutes.